1844 Liberty Head $5 half eagle gold coins come in four varieties, counting the Philadelphia, Charlotte (C), Dahlonega (D), and New Orleans (O) mint issues. 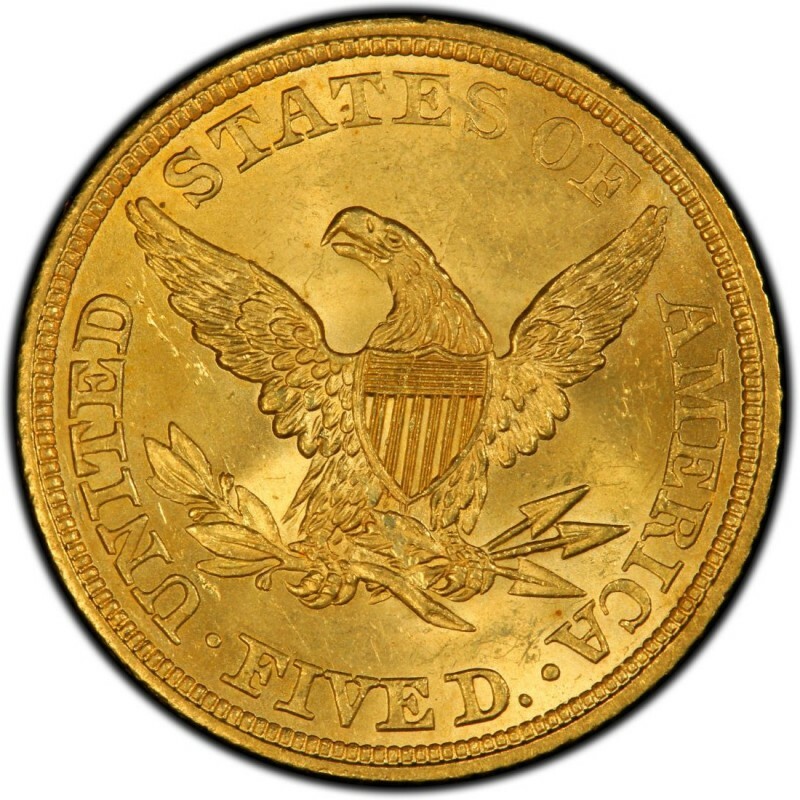 While Philadelphia and New Orleans mint $5 gold coins are generally the most common, that’s a relative statement as all 19th-century U.S. gold coins are scarce. The scarcest from 1844 are the C- and D-mint issues, which were struck in small quantities and exist in much smaller numbers today. This is the case for virtually all Liberty Head half eagles from the era, which is why mintage numbers for these coins should not be considered equivalent to current population figures. Liberty Head half eagles were designed by Christian Gobrecht, who was the same individual who created the Seated Liberty design on many silver coins of the 19th century. 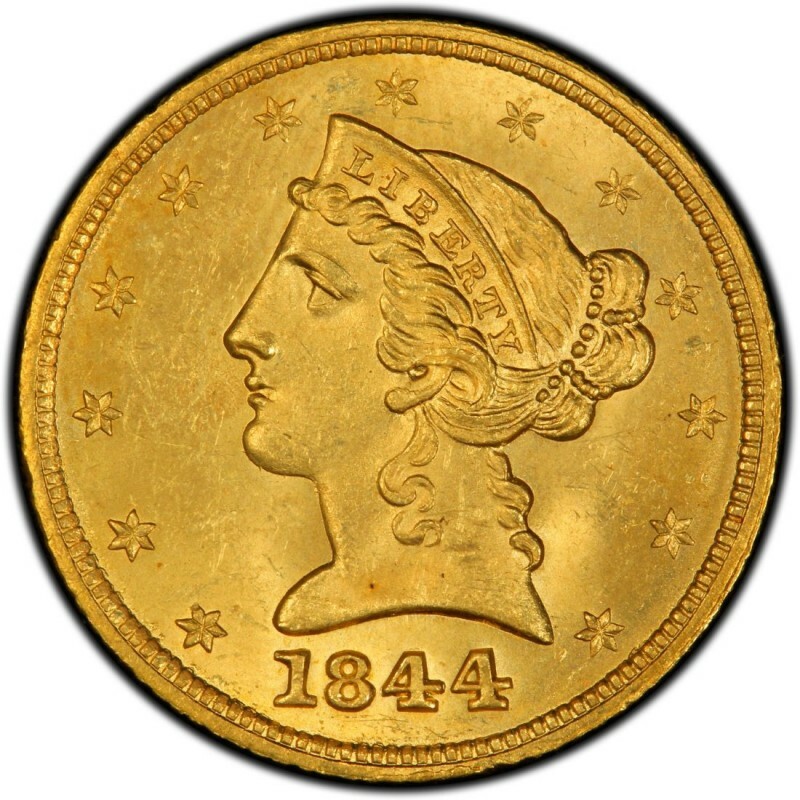 The historic quality of 1844 Liberty Head half eagles is just one reason the main market for these old gold coins is largely comprised of numismatists. For the record, Liberty Head half eagles weigh 8.359 grams and contain a net pure gold weight of 0.24187 ounces.